Forum is available only for beta-members. You will receive reply in maximum 48 hours. Authorization on website is not available for normal users. 06 Feb 2018 Development Server is currently under development. Stay tuned for more details. Server is going live at 23.06.2017 19:00 GMT+2! Server going live on 23.06.2017! We have successfully solved the performance problems of the gameserver. Yes, everything is now working properly. Server will be opened at 23.06.2017 19:00 GMT+2 We think that it will be fair to the others because everyone can start with the same chances. How We can be sure that problems are solved? Is server going to be wiped? All characters and their state will be reset to level 1 with initial starting items/quest states to keep the nickname reservation. Are We going to lag on server opening? We have already tested the hardware performance and system is able to login up to 450 players per minute. 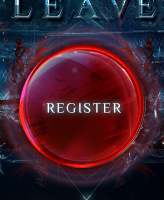 It won't take longer than 10 minutes to let everyone login in game. The traffic between machines was also filtered by Anti-DDOS system, same as external connections. The problem was caused by Server Provider due to misconfiguration the network. We have already refunded all of the donations. For any questions about that please contact at [email protected] We will answer in maximum 24 hours. Only 2 days have left to the Grand Opening! We suggest You to create accounts before opening to avoid any problems with registration during opening. We have also updated the forum with hotfix about authorization. We started a Referral System to reward players for their part in growing L2Cleaver. Referred account has a character above 40 level. Referred account has a character above 76 level with completed 3rd class. 20 reffered accounts has a character above 40 level. 20 reffered accounts has a character above 76 level with completed 3rd class. Probably We will keep improving Referral System with new rewards and stages. You can also use this system to gain bonus as a clan, when the clan leader invite his members with the ref link. You can more read details after logging Your account on website! Only 6 days have left to the Grand Opening! This way You will be able to gain bonus items for clans and groups by invitations. Tomorrow at late evening We will post more details about it. We have also opened Forum for you! NOTICE Userpanel and related parts may be under maintenance during next days (mainly night hours). The opening date for the L2Cleaver x30 has finally been revealed! I would like to thank You for all of Your messages/emails. We also decided to open forum at 09.06 and let You vote on Epic Respawn Times. L2Cleaver x30 is coming at June! We've been waiting so long for this, L2Cleaver is finally back! I'm glad to invite you to the 5th Season of L2Cleaver x30 Server! Every time We gain experience and knowledge to improve Your enjoyment of the game. We will do everything to provide You the highest level of support quality, server stability with thought features. Server is x30 is coming LIVE in couple of weeks! Completly new Olympiad system, without bugs, without criticals, with enhanced spectator mode. Dedicated and UNIQUE antibot system. Created to block all popular bots like: L2Bot, L2Net, L2Robot, L2Tower, L2Walker, L2Adrenaline and few more including their premium versions. New geodata engine, performence have increased even x10 times to improve your playing comfort. Fully automated system to launch advanced events on dedicated arenas! The grand opening date will be announced at 29.05! Warning: Due to advertisements in comments, please send all of the questions at [email protected].